Apr. 23: Third & Fourth Degrees, Ref. Harvest Potluck at 6 P.M.
Winchester Grange welcomes its newest members and congratulates all new members who joined during our Obligation Ceremony held at our last meeting. A special meeting was held to discuss an exciting addition to Winchester Grange. Details are still being ironed out and we’ll let you know in the next issue what may be happening in Winchester! Looking ahead, April is scheduled to be Degree Month with the First & Second Degrees being conferred at our first April meeting and the Third and Fourth on the second meeting. 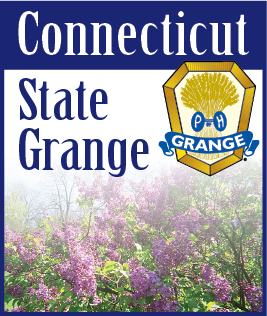 If your Grange has candidates in need of degrees, please contact let us know. We are anxiously awaiting the arrival of spring-- it’s been a long winter- with or without lots of snow.